Valentine’s Day is often tainted by the idea that it is an unnecessary and commercial holiday. 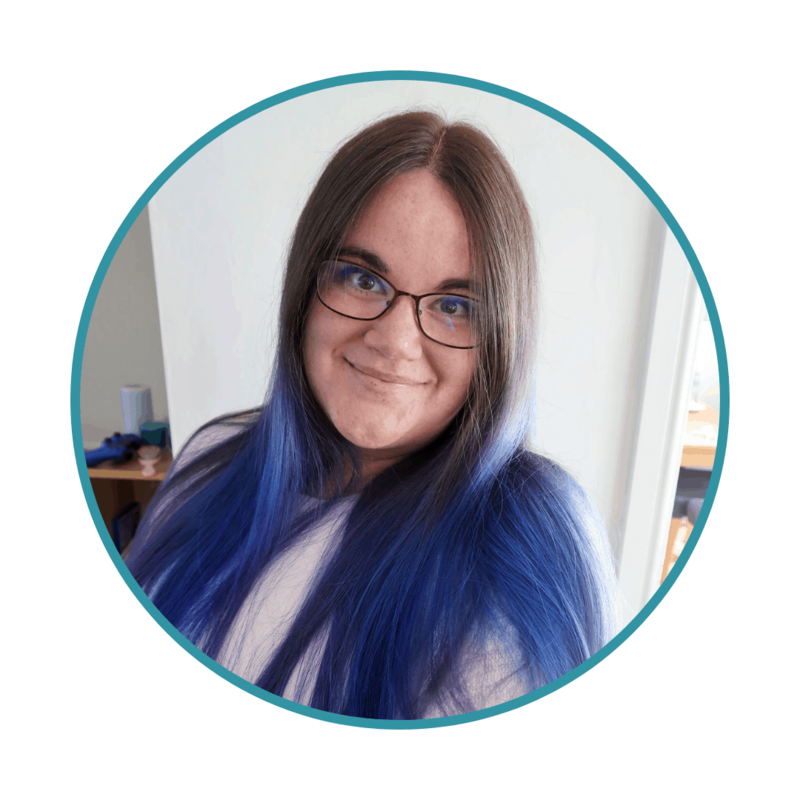 Therefore, it is a particularly nice time to share a home-crafted or personalised gifts that can really show your significant others how much they mean to you. 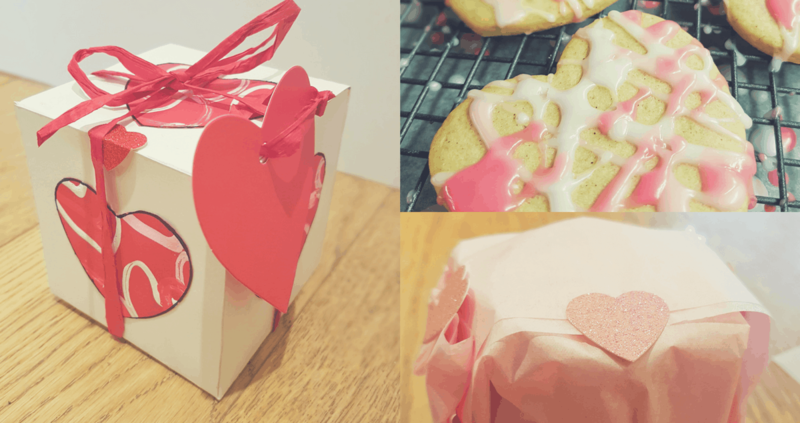 These iced heart cookies are extremely easy to make and the decoration is really simple but effective, meaning the children can get involved. 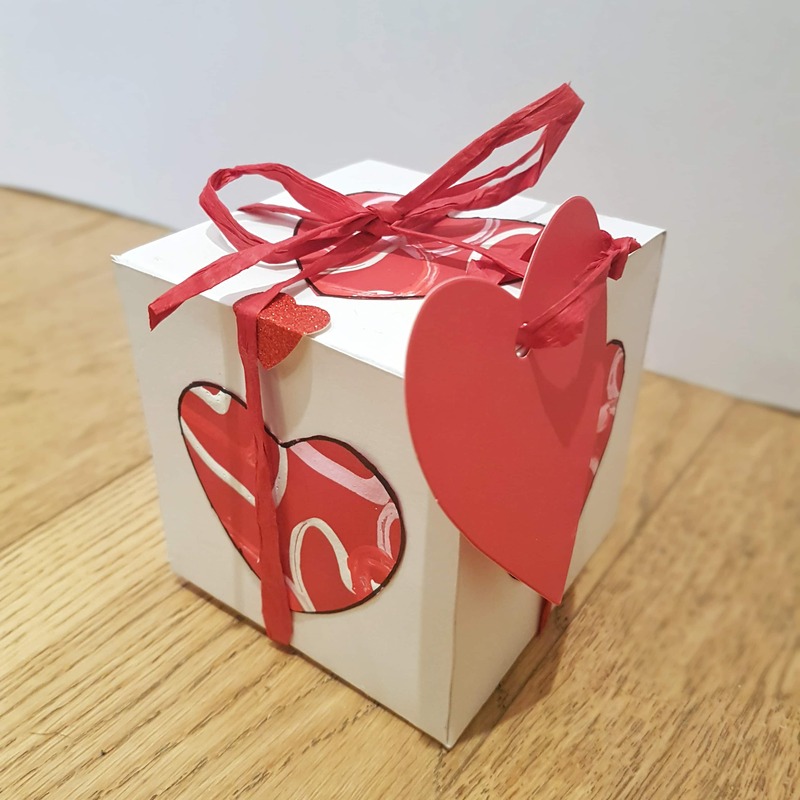 Our presentation box, using hand-printed card that was also made by the children, is the perfect way to present these edible treats and make them into a really special gift for any loved one. 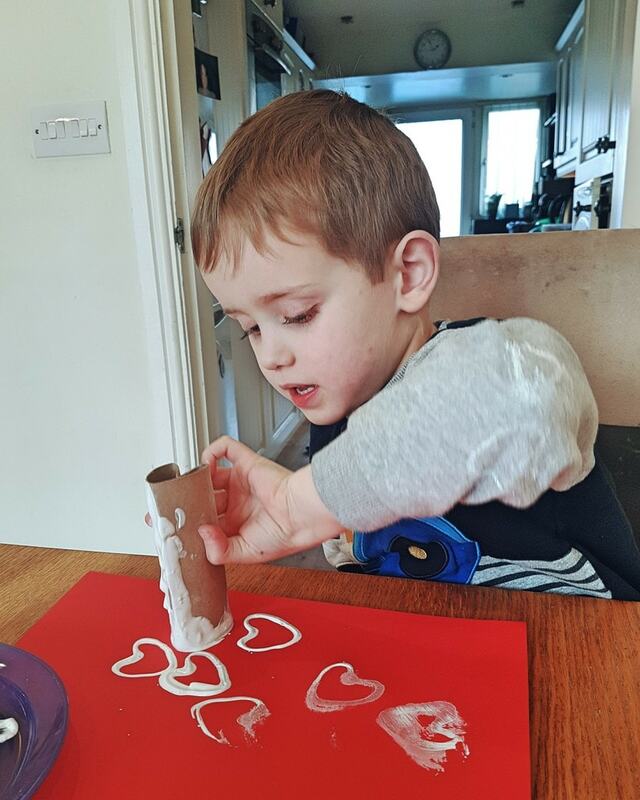 For a full tutorial on how to make this gorgeous box, check out the video below. 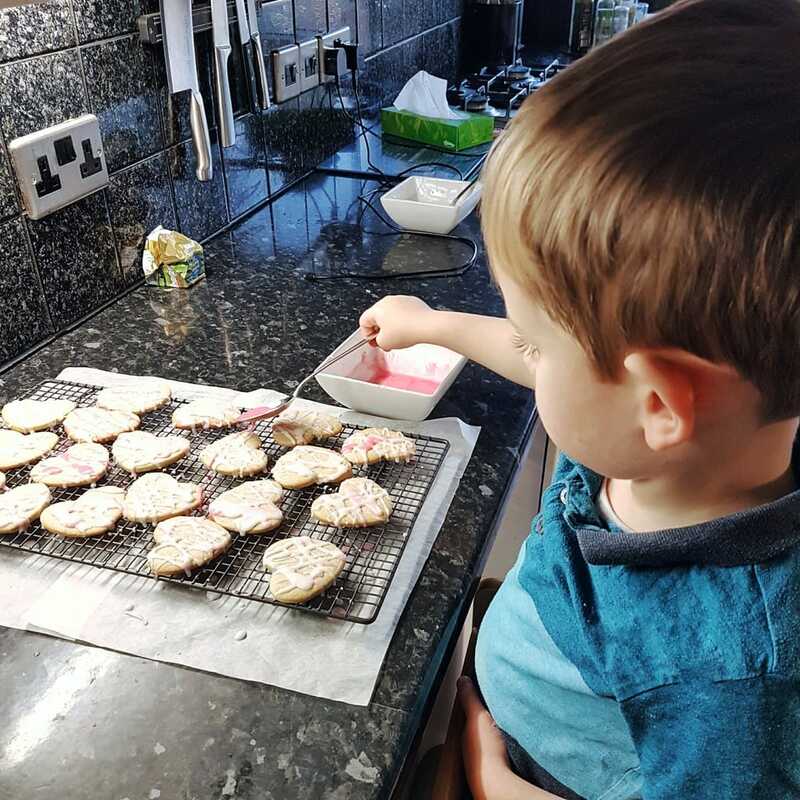 The recipe and method for decorating the cookies can be found further down. Make sure the butter is softened before you begin. You can leave it out the day before or use short bursts in the microwave. Add the butter and both sugars to the electric mixer. Cream the butter and sugars until they are light and fluffy. In a glass or mug, beat the egg together with the almond and vanilla extracts. The add to the mixture and beat until fluffy. If the mixture appears to separate, add a tablespoon of flour. In a bowl add the flour, allspice, salt and baking powder. Add the dry ingredients to the bowl and mix until completely incorporated, making firm dough that clears the sides of the bowl. Flatten and then roll the dough between two sheets of baking paper, until half a cm thick. Place the lot into the fridge to chill for 15 minutes. You shouldn’t be tempted to skip this as it makes the cookies much easier to cut and keep their shape. Bake the cookies for 7-9 minutes or until they turn a deep golden colour. Transfer the cookies to a cooling rack after about 10 minutes and wait until they are fully cool before decorating. Add the icing sugar to a bowl and gradually add the hot water, one spoonful at a time. The mixture should have the consistency of thick cream and cover the back of the spoon. If you require different colours, divide the mixture into separate bowls and add food colouring. 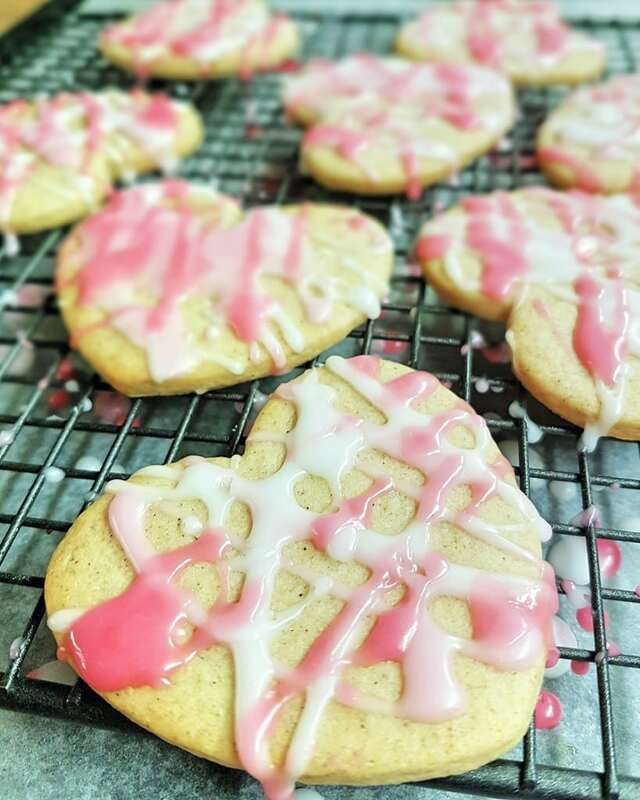 Dribble the different coloured icings over the cool cookies with a spoon, creating a haphazard lattice effect. 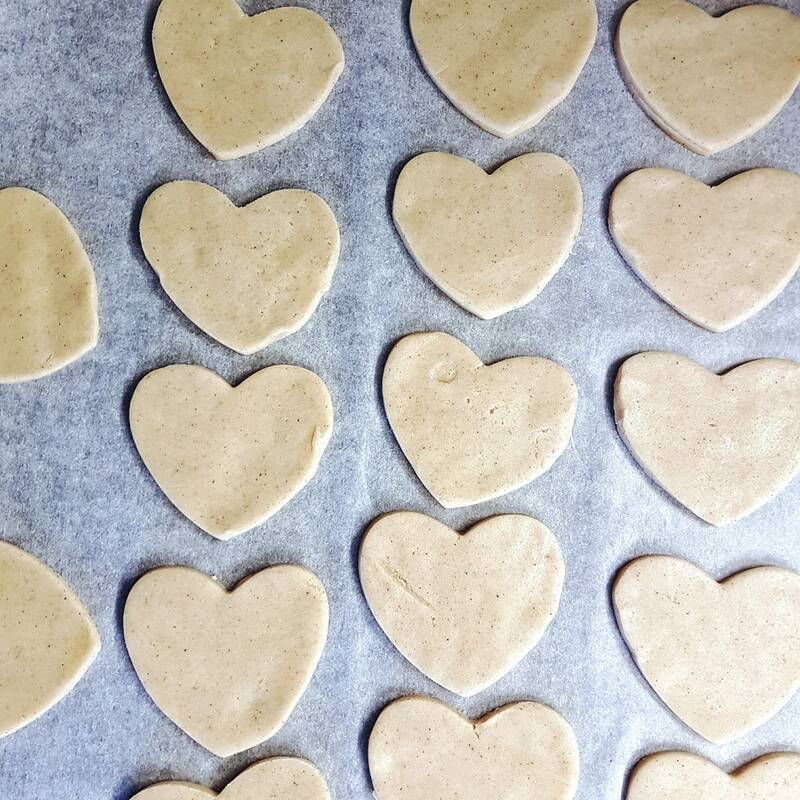 Once the cookies are iced to your satisfaction, leave them until the icing has fully set. You can then package them as shown in the video above. 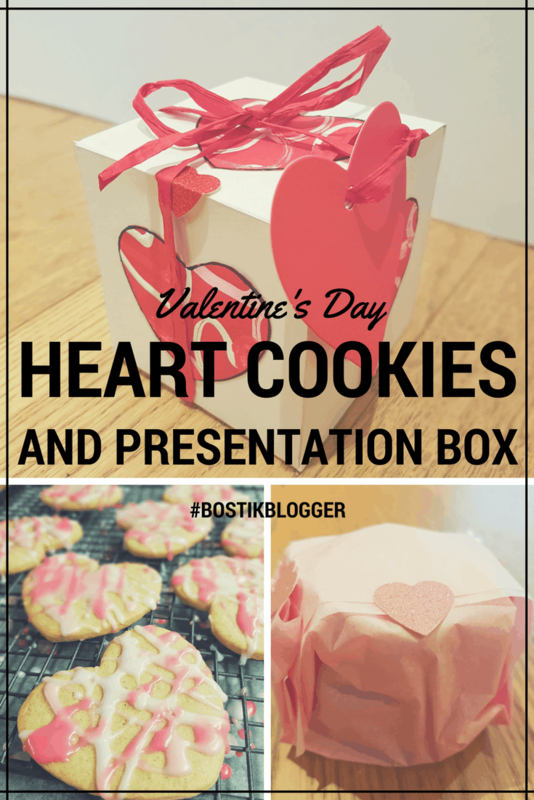 Although the cookies and presentation box are Valentine’s Day themed, you could used different colours and cookie shapes to make beautiful hand-made gifts for any occasion.